May 6th is one of those anniversaries that creeps into our consciousness, as it is mainly recalled as the peak date of the Enfield Monster mania. It was the second and last time that Henry McDaniel saw the thing that haunted that southern Illinois town many, many springtime days ago. I was reminded of this recently by an old MacArthur High School classmate Dave Wooten, who only lately discovered I was the guy behind the initial investigations of that drama in southern Illinois. That he had some personal and physical links to the memories of the events back then surprised me. The Enfield Monster period was during the time of “High Strangeness” sweeping the USA in the 1970s. At the time, I was a recent anthropology student at Southern Illinois University in Carbondale, but living back in central Illinois again, taking anthropology/zoology courses at the University of Illinois. Naturally, when reports of an unknown creature was registered deeper in the bottomlands at the other end of the state, I traveled there to investigate. The facts of the case are well-known. On April 25, 1973, Mr. and Mrs. Henry McDaniel returned to their home and Henry had an encounter with a thing that looked like it had three legs, two pink eyes as big as flashlights, and short arms on a four-and-a-half-feet tall and grayish-colored body, along the L&N railroad tracks, in front of his house. A young man, Greg Garrett, had the incredible distinction of having his tennis shoe covered foot stepped on by the sort of kangaroo-like, apelike thing. McDaniel’s reports soon brought publicity to Enfield and prompted the threats from the county sheriff, but it was too late. Soon, hordes of curiosity-seekers, reporters and researchers descended on the town. Among the “monster hunters” were five young men who were arrested by Deputy Sheriff Jim Clark as “threats to public safety” and for hunting violations. This was after they had opened fire on a gray, hairy thing that they had seen in some underbrush on May 8. Two of the men thought they had hit it, but it sped off, moving faster than a man could. One more credible witness to the monster was Rick Rainbow, who was then the news director of radio station WWKI in Kokomo, Indiana. He and three other persons spotted the monster near an abandoned house, just a short distance from McDaniel’s place. They didn’t get much of a look at it as it was running away from them, but they later described it as about five feet tall, gray and stooped over. Rainbow did manage to tape record its cry. 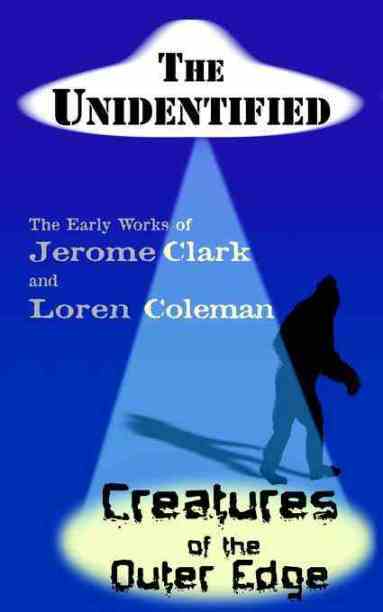 The wailing was also heard by eminent researcher Loren Coleman, who also came to try and track down the creature. He also heard the sound while searching an area near the McDaniel home. ~ in The Enfield Horror: The Strangest Monster Sighting in Illinois. I did travel to Enfield. I interviewed the witnesses, looked at the siding and air conditioner damage of the house the Enfield Monster had attacked, heard some strange screeching banshee-like sounds, and walked away bewildered. I wrote up my notes on the accounts for articles like “Swamp Slobs Invade Illinois” in Fate Magazine, July 1974, and in my subsequent books. Within the context of the Mysterious America name game, the family McDaniel would be highlighted two years later in John A. Keel’s The Mothman Prophecies. The McDaniels would be one of the focal points of the Mothman stories, as you will recall. But maybe I should have noticed all the Wootens around Enfield too, and discovered the landscape for monsters, indeed, is a tiny one. As it turns out, Garrett was killed when he was shot in the back by his wife, as he was sitting on his front porch in Enfield, Illinois, several years ago. Garrett’s wife was later acquitted of any homicide charges, as her “self-defense” arguments held up in court. Wooten did some more checking. He talked to Bob Duckworth, the White County Sheriff at the time, and verified that Garrett was the kid that saw the Enfield monster, which also McDaniel reported seeing. Duckworth said that indeed Garrett was killed by his wife Rosie about 25 years ago. Previous Entry: Which Head For Patty?